Director of Lacma’s conservation department, Mark Gilberg, aims to take a more holistic approach to conservation efforts, which up until now have been short-term. “We are rethinking procedures and adopting ones that will be more proactive than reactive,” says Gilberg. Initial delays regarding insurance concerns have been resolved with the promise that Lacma will not be financially responsible for any gross negligence while working on the towers. The decision to recruit the museum comes amidst a major budget shakedown across the state, which has resulted in slashed funding to nearly every sector. The state-owned Watts Towers “are in a situation where they are fighting a battle all the time,” explains Lacma spokeswoman, Barbara Pflaumer. Last year, before Los Angeles’s municipal budget was cut, the offer for Lacma’s conservation expertise was $300,000. Olga Garay, the head of the city’s department of cultural affairs, has reportedly put the total restoration costs at $5m. 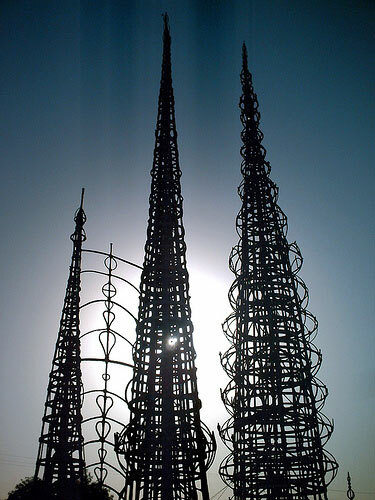 Marisa Mazria Katz, Lacma nears deal on Watts Towers project The Art Newspaper, http://www.theartnewspaper.com/articles/Lacma+nears+deal+on+Watts+Towers+project/22146 (last visited Jan 4, 2011).